After all the guessing and speculation, it's finally official. Apple is holding their iPhone 5 event at the Apple HQ on October 4th, 2011. With a clever invitation that said "Let's talk iPhone" Apple announced the event. 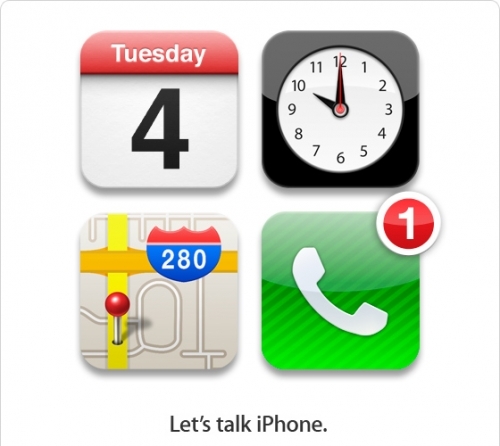 As you look at the invitation, you can see the date as Tuesday, the 4th (October) on the Calendar icon, 10am on the Clock icon and location: 1 Infinite Loop on the Maps icon. As for the Phone icon, it's speculated that Apple is announced just one new device, the iPhone 5.